If you’re looking for an affordable car to insure, then the most obvious choice is to go for a small city car that sits in the single-figure insurance groups. However, not everyone wants to drive around in little superminis, instead opting for a little more excitement in the form of a sleek coupe. 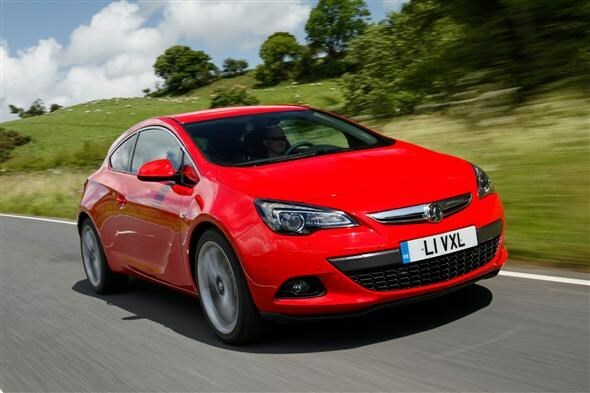 We thought the Astra Hatchback was a big improvement over its predecessor, but the three-door version was an even bigger surprise. Thanks to the suspension set-up taken from the Insignia VXR and wider track it’s engaging to drive with excellent levels of grip. With performance figures of 0-60mph in 10.6 seconds, this entry level engine is more than adequate too. The fact that it’s actually quite good looking helps too, while running costs right across the line-up are reasonable. With the CR-Z Honda attempted to create a hybrid that is fun to drive and something for the enthusiasts with a conscience. It certainly looks the part and is a world away from the humdrum hybrids we’re used to. The interior continues the futuristic Honda styling and it’s a genuinely good car to drive. You’ll get from 0-60mph in 9.8 seconds which is pretty good for a hybrid which costs just £30 to tax. The styling may split opinion, but perhaps that’s a big part of the Coupe’s charm. The individual looks are sure to turn some heads, whether it’s for good or bad reasons. What’s more impressive about this car is that it handles even better than the hatchback version and that's no mean feat. Not only is it engaging to drive but you’ll get from zero to 60mph in just 8.7 seconds. When VW’s Scirroco made its return back in 2008 it was heralded as a major success. The manufacturer had managed to reinvent a ‘70s and ‘80s coupe classic with modern and slick styling, but somehow retained an essence of its original design. It offers sharp handling along with strong performance - a 0-60mph time of 9.4 seconds to be precise. Running costs are just as impressive as the performance. When Peugeot announced it was going to be making a coupe to take on the Audi TT, not many people took the French manufacturer seriously. 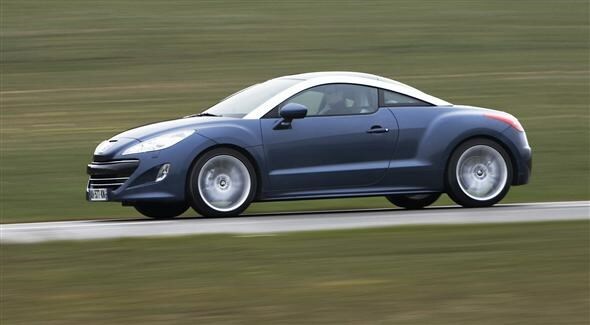 When the RCZ arrived it turned out to be genuine rival to the German brand’s offering. The double-bubble roof gives it a unique look while the engines and gearbox are impressive and this engine will go from 0-60mph in 8.0 seconds. As well as the affordable running costs you won’t break the bank with the purchase price. This three-door isn’t a small, sleek number but more of a comfortable grand-tourer type. It’s an excellent all-round package with the usual top quality interior styling and solid build quality. The diesel engines offer an excellent mix of punchy performance and economy too. This model propels the car to 60mph in just 7.9 seconds. Not bad for a car of this size. Did you know the most popular review for the A5 range is the Audi A5 Coupé review.